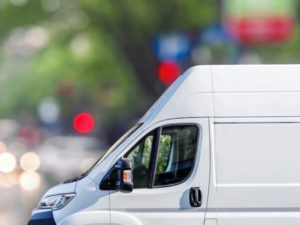 A growing number of fleets are embracing electric vans for low-mileage operations but diesel still has a pre-eminent role when it comes to longer distances. So said Russell Adams, commercial vehicle manager at Lex Autolease, as he highlighted the many considerations fleets face at the moment. Commenting following the 2.4% van registrations in May that was announced by the SMMT this week, Adams said the figures were another good indicator of a mostly healthy van market but that vehicle choices were no longer so clear-cut. “We’re seeing a lot of new technology come into play, particularly the availability of a greater range of electric vans – something that the LCV market has lagged behind cars on traditionally,” he explained. “With this in mind, fleet managers have many more options open to them, but also more complex and time-consuming decisions to make when it comes to updating their van fleets. “What we’re seeing, both from current and potential customers, is an incredibly inquisitive market with genuine interest in how battery power is set to play a role for them. However, it’s telling that the majority of our own electric van customers are still using these vehicles for low-range operations, such as campus-based roles at universities or the fleet we manage at Portsmouth Naval Base for BAE. “It proves that electric vans are fitting the bill for low-mileage jobs, but new diesel is still the right option where it’s necessary to cover longer distances – logistics or construction fleets, for example,” he finished.